"Throwing my money into the never-ending void that is institutional bureaucracy. In actuality, I am doing my second bachelor's degree in choral music education! Technically I am a [post-baccalaureate] student so I will be done in 2 years!" "Since 7th grade! Oddly enough I used to hate singing, so I avoided choir until we had to choose between choir or band in middle school. Oh how the turn tables." What is your favorite musical memory? "This is like asking me to choose my favorite breed of dogs when ALL DOGS ARE PERFECT. I will have to go with singing for a group of touring elders in Cheltenham, England while touring with my choir, Heinz Chapel Choir. They were so welcoming and touched by our performance, it brings me so much joy to share music with people in that way." "Most of my interests revolve around music, however, I do enjoy games of the video and board variety, petting dogs, adventuring, and spending time with my friends! I can also clover my tongue, do a number of impressions and I am double jointed, so you don’t want to find yourself in a thumb war with me." "Will Todd. His harmonies are (I used a thesaurus for this) luscious, exquisite, and splendid. He has a rather versatile style and writes beautiful music that is a joy to sing and listen to." "The Beatles! They are always a classic go-to for me. I grew up listening to classic rock - thanks mom and dad! - so I will always have a special place in my heart for the fab four." "Make a Move by Lawrence. I’ve been really into funk music lately, and this song is all about being a strong independent women and who doesn’t love that?!" Would you rather spend the day with Ellen or Jennifer Lawrence? "So Jennifer Lawrence is someone I would easily question my sexuality for, however, Ellen is hilarious and I can imagine us having a grand ol’ time so I will have to go with her." If you were a cupcake what flavor would you be? "An espresso cake with cookie dough frosting. I am sweet, doughy, and have a lot of energy." "Stanley cup champions, the Washington Capitals!!" If all of the appliances in your kitchen came to life, which would they elect as their leader? "The brave little toaster, duh." "I can chug a gallon of milk in 10 seconds. Just kidding, I actually started a cancer walk in Pittsburgh while I was at school there. I was able to raise around $100,000 for Lung Cancer Research over the three years I ran the walk and I was written about in a local journal because of it!" Margot Cohen is excited to be entering her first season singing with Lux! Margot is a post-baccalaureate student at the University of Maryland studying choral music education after recently receiving her bachelors in music from the University of Pittsburgh. Margot hopes to eventually become a choral conductor as she moves forward with her education. Margot currently sings with the University of Maryland's most select choral ensemble, the Chamber Singers. 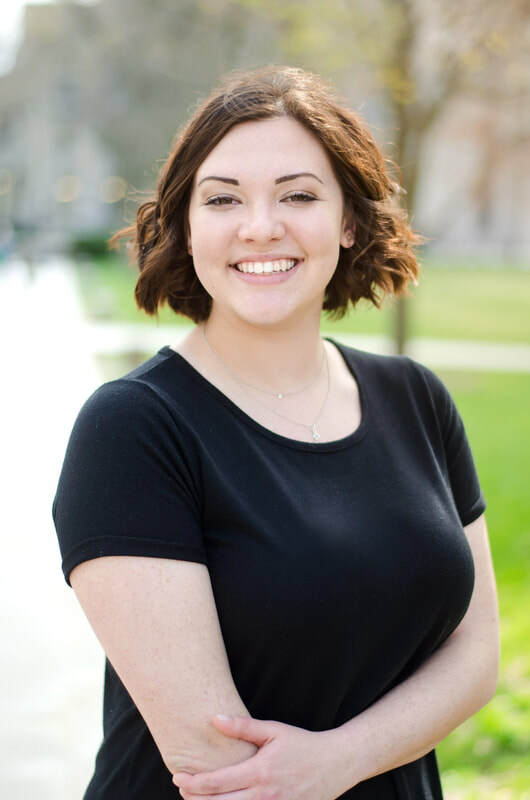 Previously, Margot has been a part of the University of Pittsburgh's Heinz Chapel Choir for four years as well as a contemporary a cappella group, The Songburghs, and church choirs in the Pittsburgh area. In addition to being a vocalist, Margot plays the piano, guitar, and ukulele on top of working as a private voice instructor.